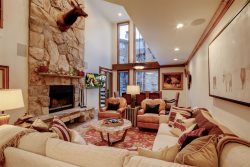 Getting to Park City and nearby Deer Valley Resort is easy! No matter where you are traveling from or whether by plane or by car, there are many options when traveling to Deer Valley Resort. The biggest travel obstacle is typically the weather! Be prepared for delays both on the road and in the sky. When the snow is falling traveling to our ski haven can be challenging. Use the resources below to get to us safe and sound. Contact our office for additional assistance. The most popular airport in the area is Salt Lake International Airport. Only an hour from the Park City-Deer Valley area ground transportation from the airport varies from shuttle transports to rental cars. With all the popular companies servicing the area from Avis to Thrifty the are many options to choose from. Driving in high elevations can be tricky as weather and road conditions can change drastically in the blink of an eye. Be sure your vehicle is equipped and in good operating condition to be traveling in snowy and icy conditions. Check the weather, plan ahead and arrive safely! As you exit the airport stay left. Not sure how to get to us? Contact our office for assistance in planning your Utah vacation transportation and travel needs!